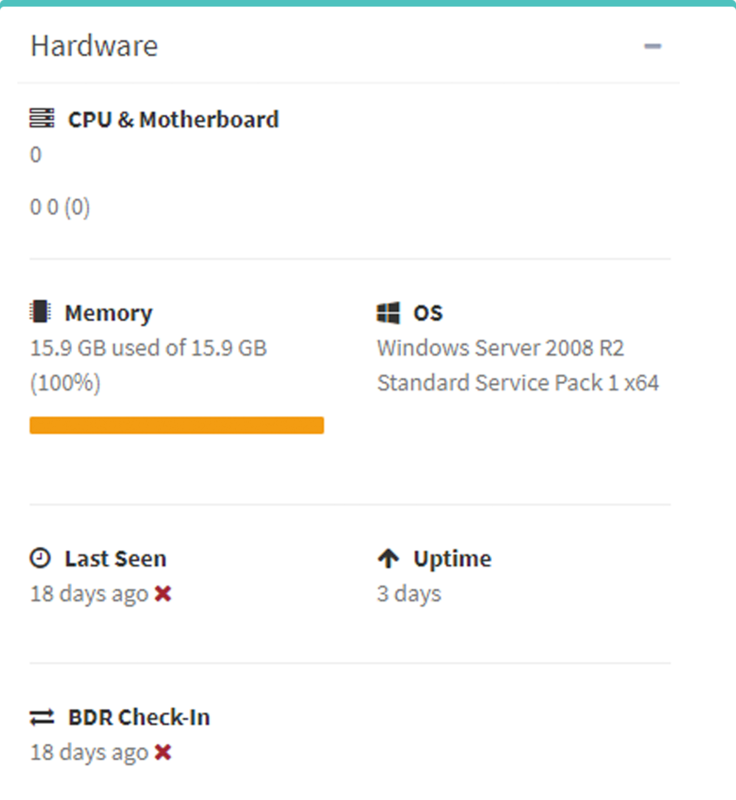 With little to no setup, you save time and energy when managing your backups. There are no individual PSA integrations - configure it once and CentralPoint takes care of the rest. With an easy-to-install agent, you won't have to mess around with multiple logins. How do you know if your backups have been successful? 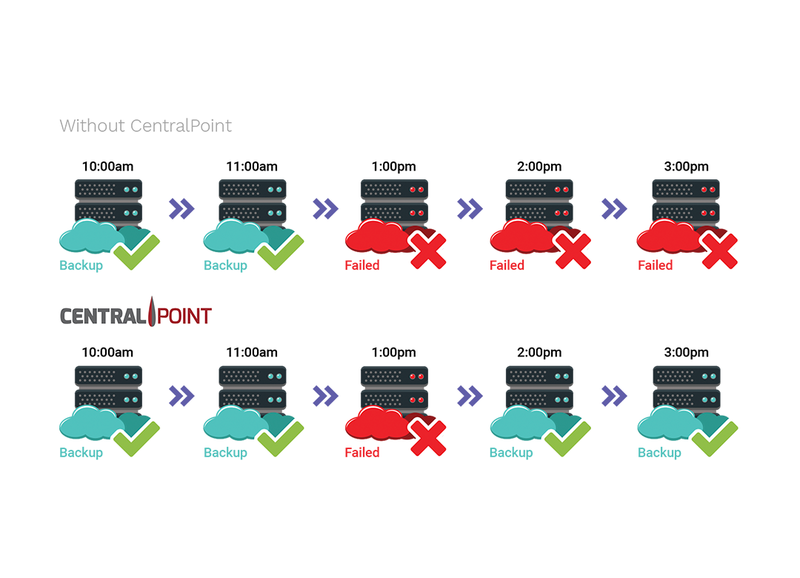 With CentralPoint, any issues that arise from a bad backup process will send an alert. No longer will a bad backup continue without notice. 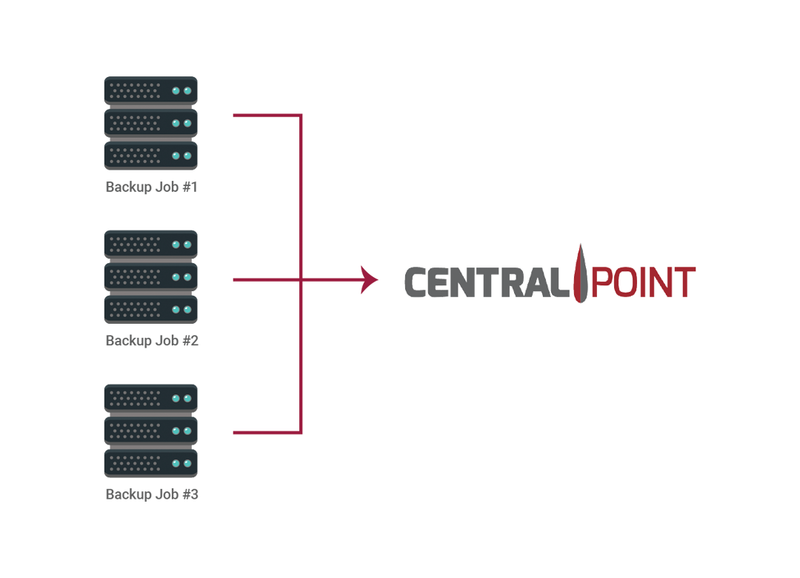 CentralPoint monitors everything from backups to test virtualization. Say goodbye to the days of not having any analytics or reports. With CentralPoint, you can tie tickets to backups and track how much time is being spent on each site. You can prevent bad backups from replicating with alerts, and find problems quickly and easily without hunting down the ticket in your PSA. 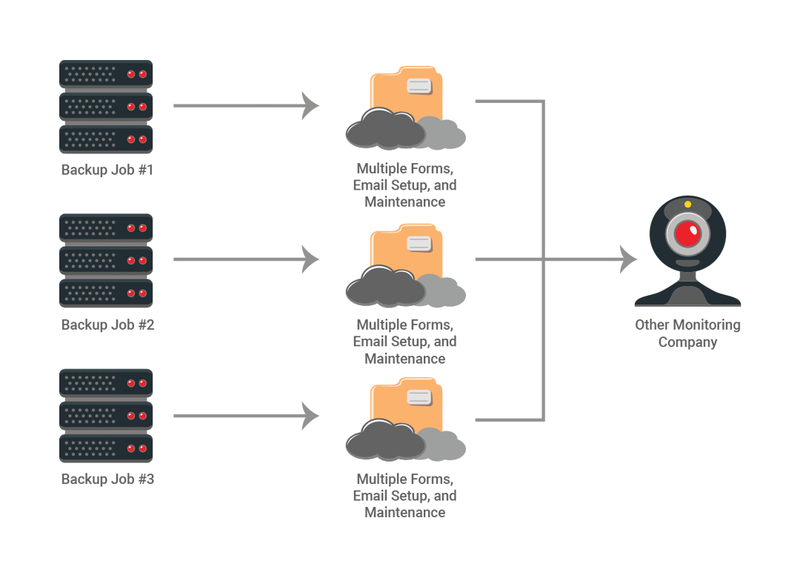 With remote connections and screenshots directly in CentralPoint, your backup monitoring will be one of the easiest things on your plate. Not having enough space, RAID controller issues, and no data reporting are all common causes of bad backups. With CentralPoint, you can view the space left and what operating system is running. You can also see how long it's been since the last backup. With everything in one place, you can prevent bad backups from happening and stay ahead of the game. 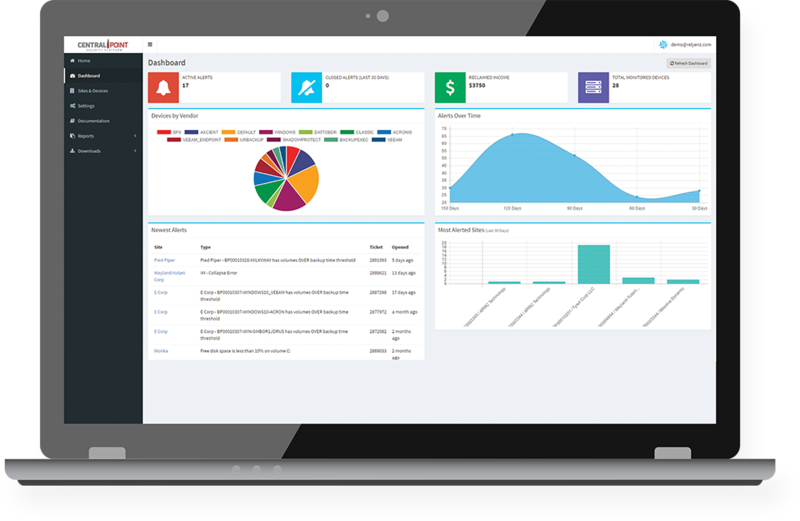 No other competitor can generate time stamps, site information, backup analytics, device statistics, or logs as quickly as CentralPoint. With CentralPoint, there's hardly any setup. Install the agent and you'll be rocking and rolling in no time. View what's important in just a single glance, and use your time more efficiently and productively. Don't stress about setting up alerts. Allow CentralPoint to alert you to issues automatically. Track how much you spend on certain sites, and create processes much faster than before. CentralPoint automatically detects and manages remote connections, like ScreenConnect. With advanced notification, you're aware of potential issues before they become a big problem. Don't leave money on the table. Be alerted before agreements expire and renew clients on time. You have a map of all your sites, so if there's a disaster in the area you can see where you need to focus your attention. Get access to your account after signup.